The IDEAL 45-097 Stripmaster® Wire Stripper is designed to strip AWG 16-26 general purpose solid and stranded wire. Knife-type blades (not recommended for aviation applications). One-third less hand pressure for each strip. Eliminates nicking, cutting, and fraying of wire. Wire gripper holds wire centered in hole. No, there is a gripper on just one side to secure the wire whilst stripping. 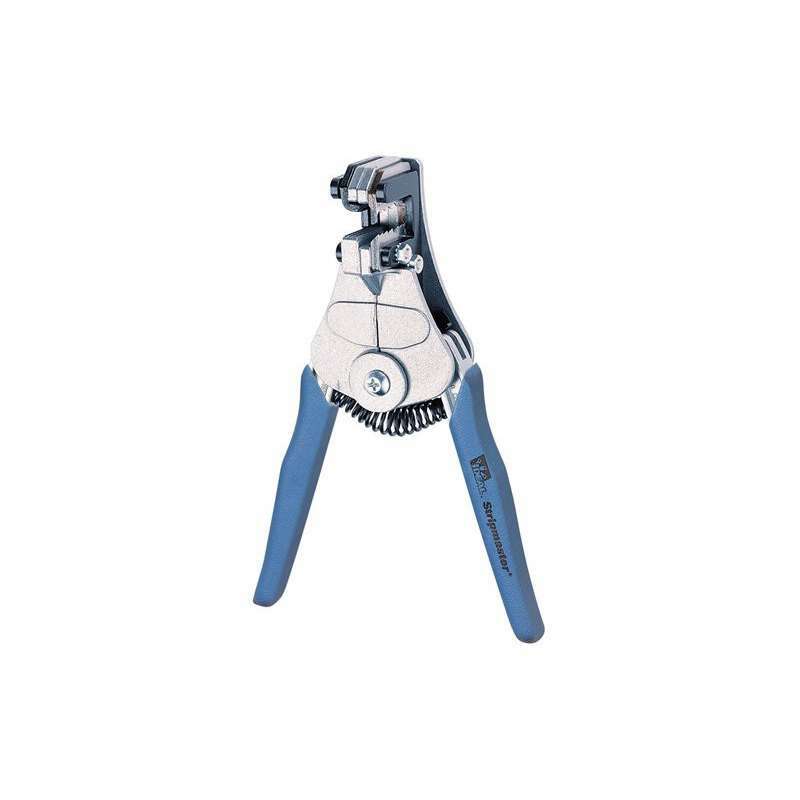 These blades can be fitted to this tool; however, the gripper on the 45-097 is different to what you would get with a custom stripmaster frame and is a lot more aggressive, meaning it may leave an indent in the insulation of the wire. With regards to the calibration, it would be the blades themselves that would be calibrated so the frame these are fitted to wouldn't make a difference.